U.S. Citizenship and Immigration Services (USCIS), a division of the U.S. Department of Homeland Security (DHS), is challenging an increasing number of H-1B applications, according to statistics from the agency. Despite this boosted scrutiny, however, the Trump administration has not yet pushed for any major reforms to the H-1B program, which many tech firms claim is a vital pipeline for tech talent. Some departments have taken small steps over the past few months to adjust how the nation’s visa programs actually work. 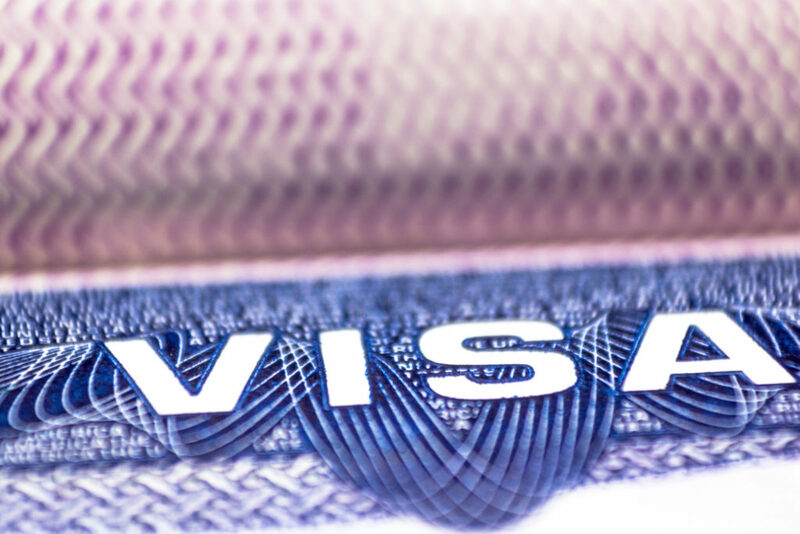 USCIS made renewing an H-1B or L-1 visa more difficult by imposing a higher burden of proof for eligibility (which may have led to the spike in RFEs). Whether or not the increased USCIS challenges are actually resulting in rejected applications, it’s clear that the H-1B system may undergo more substantial changes over the next few years; even if the Trump administration pushes for no formal reforms, a number of Congressional bills have attempted to adjust the system in some way. That concerns many tech giants that currently leverage H-1B visas to pull in talent from overseas. In 2016, consulting firms such as Cognizant, Infosys, Tata Consultancy Services, and Accenture drew the most successful petitions for H-1B visas. At tech firms such as Apple, Google, Cisco, and Amazon, H-1B holders earn an average annual salary in the six figures (for example, Apple pays out an average of $139,000). Out of the 4,000 companies that applied for H-1B visas last year, some 20 companies racked up 37 percent of approvals, and eight of the top ten companies were IT consultancies of some sort, according to USCIS. But critics of the H-1B system argue that the visas just take jobs away from skilled American workers. Those on that side of the debate will probably cheer the rise in RFEs, even as they wait for more substantial moves from the Trump administration. US companies have done a fantastic job of screwing American tech workers out of jobs. It has been very, very difficult to change, because US companies back lobbyists that prevents anything from being done about stopping the invasion of H1b and L1 abuses that have going on for years!! very young nearly teenage recruiters calling speak so fast and at high frequency voice you can’t understand them and milennials that think old people don’t have any useful skills in todays market. It is simple companies have outsourced the HR to staffing companies. And have lost their ability to hire remember they started the out staffing 30+ yrs ago they have put $ above skilled workers say that just so happens to work just fine to lobby for H1B visas nice neat package isn’t it? There is a ruling class in this country that wants full and complete power over everything The free market is ok for them but unavailable in very important way for the common jane or joe. Hey I am not talking about choices for coffee here. We have very little or no choices to work the ruling class dictates that. My vote for president Trump was 100% based on his statement to do a change in H1B . That time I was not effected but could not see injustice . 1 year later, I am effected as my other co-workers. Teaching my cheap H1B replacement as we speak in order to get my severance . I tell my kids donnot go to computes science as they will be replaced one day too or may never be hired in a first place. I am still hopeful for the change to it. The H1B program needs to be limited to true difference-makers. Instead it is being used (particularly by Indian outsourcers) to undercut pay standards for engineers. I have gotten calls from recruiters making lowball offers for jobs who obviously had no intent other than documenting that they “tried” to find native talent in order to buttress their claim they need to hire H1B’s. That’s very interesting. I had a recruiter talk me into a higher rate, and then I never heard from them again. I think you might be right, talking people into higher rates just might be a way to screwing native programmers. The US does not have enough technology workers IS A LIE. I just left a role where almost everyone wasn’t a US citizen. We need more RFEs. We need less H1bs. Stop the BS now. Native born citizens FIRST. Agree 100%. If there is a shortage in a niche area, they’d be paid a fair market rate/salary and no-one would complain. Instead, the program floods the market with cheep, but often less qualified resources and the recruiters they collude with play games to keep better qualified prospects out site of the hiring companies. Did you carefully read Lance Manion’s comment when you agreed? I replaced an H1B person in Houston, Texas, even though I was twice as expensive. The client was very dissatisfied, I made them happy, they extended me for double of my planned duration. I am an immigrant and now a citizen, making top $$$. Did you guy really mean, naturalized citizens should not have equal rights? I would like to remain here, earn and spend here, retire here and spend that amount here too. Please give your blessing to this plan. BTW, I agree with the rest and also voted for Trumps for the same reason. Lance why this hate. Is it desperation ?. As a person who studied here became a citizen and been a citizen over decades and as an employer and as a Tax payer in the top most bracket and level. I say your rights as a citizen don’t trump mine just because you are native born. I can tell you as an employer I sponsored only one H1B and when I was able to find a native talent I did not on-board the H1B from overseas. Now the H1B problem cannot be solved unless the Big 5 consulting groups and employers like me are on-board. I am for merit based system that is determined by market and not tied to employers. Just like canada. Don’t suppress messages. Posting for 2nd time. Why this hate. Is it Desperation ? As someone who did his masters here and been a naturalized citizen for decades. A tax payer in the topmost bracket and percentile. An employer who has sponsored 1 H1B and someone who did not on-board this H1B after spending money when a local talent was found. I say your right as a US citizen will not trump mine. What next you don’t even want to compete with your fellow Americans and want everything in a silver platter. Going by your last name it has origins in Ireland. Please do not forget for a second this country of ours took a lot of people from ireland during the great famine not because they were qualified. You are talking about 66% of ireland came in. Read history and see how irish were treated by local population. Prefer merit based system not tied to employers and no other quotas exception. The bar has to be raised. The answer to why there isn’t enoigh American talent is caused by the globalist movrr and shakers in the mid 1980s. American companies did not want to invest in American tech schools and the idea of cheap labor without costs of training was too good to pass up. The globalist planned this delimma and America needs to return to protecting its workforce. Australia is the model we need to follow in protecting its working citizens. Maybe we should surrender our guns at the same time while we’re at it? That was sarcasm. There IS enough American talent. The issue us the payment rate. There are not enough Americans that want to work at less Tha 50% of what they were earning 20 years ago. I am glad to see DHS cracking down. I am in IT Strategic Sourcing and applaud this move. I don’t believe there is a shortage of US tech workers. What there is however, is NO SHORTAGE of US and multi-national companies located in the USA that want cheap labor and use the aforementioned INDIAN owned companies to bring in their indentured servants for low wages. This is corporate greed on both sides run amok. I work with many of these Indians and their English skills are so poor, they are virtually unintelligible. They are displacing US workers, many of whom are older because companies just don’t want to pay US pay rates. A pox on all their houses. I understand your disapproval of the H1B program, but jeez do you hate Indians. They are trying to make a living by following “The law of the land” , they dont come here illegally. They go through Visa interviews conducted by US officials who obviously deemed they know enough English. Dont let your feelings against corporate greed make you hate an entire race of people. Last time that happened terrible things happened in Europe that lead to a World war. Lying on your resume and backstabbing American workers is all to common by Indian IT workers, and you wonder why you have an image issue? Do all Indian IT workers lie on their resume and backstab American workers? Why generalize? by this example since Harvey Weinstein and Kevin Spacey are molesters by extension means all Caucasian white males over age 40 are molesters? What kind of logic is that? Agreed that the system is being gamed, but that doesn’t mean every one from the subset of “Indian IT Workers” is gaming it. This kind of generalization leads to a lot of hate. I am sure our lawmakers will plug the holes and DHS will continue to crack down on the people who abuse. You got it wrong. No one blames the H1B applicants (or the Indians as you mentioned). The companies are THE ONE that abusing the program. Hiring cheap labors instead of hiring talents as the program was originally designed for. You were probably looking at this in a mobile phone, I was replying to one comment that blamed Indians, In mobile browsers you might not see the comment tree. I agree with you though, the program was not originally designed for hiring cheap labor. I don’t hate all Indians (Eastern or Western). However, I did not ask those U.S. officials to conduct those interviews. They certainly are not representing ME (or my fellow displaced citizens) by doing so. H1b is nothing more than a slave labor program intended to replace American workers with cheap overseas labor. Thanks to Trump things are changing. It would be an unwise manager that now looks for H1b candidates only to get rejected. The H1-B program is a cheap labor program period and tech companies all know it. They openly discuss it internally but in public drag out the argument about a shortage of tech workers. There is no real shortage only a shortage of companies willing to invest in American workers. Good. Next stop, elimination of the H-1B visa program. It is NOT needed. Invest in education and training, corporations, like you used to decades ago. Hire a bunch of college graduates, instead of constantly looking only for experience. Do you job! Is DHS really “cracking down”? I don’t believe it, when reports FROM THE DHS ITSELF showed it was INCREASING the numbers, not DECREASING them. This in spite of the political words being thrown around from the WH. Almost 3 million H1b issued in the last 10 years (university and non profit do not have quotas). A lot of spouse of H1b work off the books. Add L1 visas to the mix and basically its open season on American IT workers. They should start issuing H1b for economists and see how quickly they change their opinions on H1b. What you’re saying is Trump lied. Have any of you taken an economics class? One of the fundamental principles is that free and open trade is the best system that helps the country overall. I understand that many of you are feeling undercut by the “cheap labor”, but sorry, that is just a product of the MARKET. There are millions of factory workers in the US who last their jobs as US firms began to outsource manufacturing overseas thirty, forty years ago. They have complained and protested, but to what avail? Their way of living has been displaced, yes, but why should businesses pay more money for labor unless there is some value? Stop venting on online forums and update your skills. If you are truly talented, you will land somewhere. The world is becoming a competitive workplace. Either you cut it or you don’t.Y’all feel entitled to a job, but the reality is you just don’t want to admit that there are more smarter and more hardworking people than you. Here is your answer Derek. Economically, it comes back around to bite you on the consumption side of the economy in several ways. First, the people laid off are no longer spending their salary buying things in the US, saving for retirement or the education of their kids…etc. If the workers that replaced them are resident in the US, they may spend all of their money here but it is less consumption based upon the lower salary than the person than they replaced. In many cases the replacement workers are not spending their entire salary in the US but mailing a significant portion of it back to their families in their home countries and it is spent in those economies instead. All of this cuts consumption in a US economy which is 70% based on consumption. Less consumption in the US means less demand for goods in the US which feeds downsizing in manufacturing here. Now look at the burden on the US taxpayer of an unemployed individual. First, the unemployed person is no longer paying taxes at the higher wage they were paying before being replaced and the replacement worker is paying less in taxes. Next, the unemployed worker is now drawing unemployment benefits and possibly worker retraining benefits from the government. Unemployed workers with children may also be forced to go on welfare and draw food stamps while they are retraining for a new job and this retraining can take many months and possibly years before they are re-employed. The off-shore replacement phenomenon exacerbates the above detrimental factors even more because the wages are completely removed from the US economy and tax base while the costs of the unemployed individuals remain. How is this beneficial to the US ? If we don’t find a way rebalance the situation from all aspects, including the education gap, 10 years from now, the US will be a mere shadow of what it once was. And by the way, they do issue H1B for economists. This H1B program needs to be stopped. It has nothing to do with shortage, it is about CEO greed. Companies are making low ball offer to US engineers so that they can claim “shortage”. I am an unemployed engineer and I can’t find jobs. Not because there are no jobs. There are tons of engineering jobs, but they are willing to pay a salary similar to a McDonald worker. Pathetic. Wouldn’t it be nice to stop the program and not allow new people instead of making already available H1b holder’s life miserable for following all the rules. I have seen nothing but Indians in the networking world over my past 15 years. It’s a shame the ones that are here in the US are the 1 percenters from India. They will all tell you one thing in common.,they paid dearly to get approval to leave through a racket over there demanding monies for the approvals. They have a left a caste system, similar to our history; its called slavery. Blame it on the BRITS! “Blame it on the BRITS!” – good point – why aren’t they going to Britain? H-1Bs are supposed to be TEMPORARY visas, but they’re good for 3 years, have been almost automatically renewed for another 3 years and then the visa holders can apply for citizenship and continue to work for another 2 years while waiting for a response. If I work as a contractor away from home for 1 year or more, the IRS considers the job a “permanent” transfer and I lose my tax deductions back to day 1. At the very least, the government should apply the SAME standard. I would recommend that H-1Bs be NON-RENEWABLE and that companies be REQUIRED to train a US worker to replace the H-1B worker. Allow them up to 3 years to do it. After that, the visa holder must leave the U.S. and not return again for two years. In no case should an H-1B worker be allowed to apply for citizenship until they have been out of the Country for 5 years. How about we start buying everything which is “Made in USA” instead of “Made in China”. If we all start doing that we will be having a lot of jobs in manufacturing that we don’t even need to think about any other jobs. Last time I heard, it is a open economy and it have its pros and cons. Stop the H1B program completely. Companies who hire Non Immigrants should pay hefty fines and all their VISA applications must be rejected. Stop buying cheap Chinese goods. Companies should be scrutinized and a census of their ration of employees should be taken. There are scores of companies which hire only Indians or Chinese or Mexicans or Philipinos. Compulsion of speaking Spanish or Mandarin takes away many jobs. English is the primary language of US. So why people openly discriminate that you should speak only Spanish. There is no dearth of Technical talent in the US. So Scrap the H1B program. Close all loopholes including family sponsored VISAS. Sure there may be more requests for info, but the pay rates are not market – look at the pay on sites like http://h1bdata.info/index.php. The H1b needs to be reduced drastically and shut down. The B1 visa is so abused it needs to be shut down. Infosys “misused” virtually ALL the B1 visas they used over a 7 year perod!!!! These programs need to be constantly audited and followed up on to protect us – and that will cost too much so they should simply be shut down. I agree to all the comments above. But look at the other side of coin. How could 1 or 2% indian population steal 98% american jobs. These indians once come or settle in some region the housing prices/apartment prices goes up ,real estate makes money.Now a days i see people buying homes on h1b too which adds money back to our economy. Schools rating gets improved with thier kids. I agree that more rules should be imposed on approving valid h1 b’s but removing h1’b completley wouldn’t solve 98% american probelm. Yes you are absolutely right , US citizens have jobs more than they need in IT .9 out of 10 It jobs requires US citizenship or Greencard. Employers are struggling to fill this positions due to lack of skilled citizens available to grab those jobs. They are still I filled just because it requires Us citizenship ..H1b workers are really finding difficulty and waiting in green card queue more than a decade even after paying so much tax . Each H1b worker pays tax double the American average salary. .. this is tryuely hatred spread by the certain people who has non understanding about the program .h1b holders are not replacing anyone here. Right on point. Imagine leasing, restaurant and auto market when all the immigrants are sent back. Comments section is an eye-opener for me as a honest H1B worker. There’s your answer, no one wants to pay more when there are cheaper options. Not even big corporations. Sore but truth! H1Bs by non-profit, hospital kind of businesses files J1,H1 etc anytime for those who want to come here for research. I believe they can get those entry level candidates from local colleges. H1Bs and L1/B1 by multinational companies cannot be questioned due to their financial strengths. Also most of the IT/Non IT jobs are outsourced to several countries. USA gets billions in revenues from processing fees. I don’t think they really want lose the revenue. US Citizens must come down on their rate for survival. Overall it is going to be a major issue to find employment for future generations who born and doing education here. Wow, so many racists… you cannot engage a discussion around problem such as that VISA without start making race generalizations. This is a money problem, workforce is too expensive for the work they provide, deal with it. Don’t blame other people, is like when the german blamed the jews for their poverty. Everytime someone struggles with something someone else with another skin color has the blame…. H1B is the same business as the manufacturers moving their factories outside of USA. – To save costs. This is all done by the same profit seeking corporate fully endorsed by you Americans. You want corporate to make insane profit year after year so that your investments can yield you crazy returns. Corporate do this through cost cutting and that’s where H1B and offshoring comes in to play. You want profits but don’t want to pay the price. And what would prevent any IT company to move their office offshore for cheaper workforce if H1B is curbed? I am really frustrated with all these, I am an international student completed my masters in computer science, We students come here pay high tuition fees to get graduated, but finally after graduating no jobs. They don’t even listen when you say about your work authorization.I personally suggest don’t come to US for higher studies and waste your money. We are not there to get green card and citizenship or to earn billions of $. Just give us a chance to gain experience that’s what we need. F1 is truly not dual intent. No one can promise u a job over folks here. I see most of the discussion is about tech jobs being hired on H1b visa. The fact is the H1b is not limited to IT jobs. Other jobs including Physicians like me are on H1b visa. My question to People who recommend scrapping H1b visa – how would you replace them? Most of the physicians working in underserved areas are immigrants.Is there no value for their service? All the physicians are qualified, had to take the licensing exams and work hard through residency . There are no shortcuts there. My point is – will there be any protection for such jobs with new H1b policies?